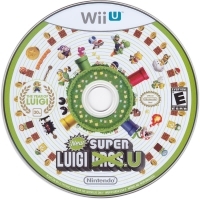 Box Text: Celebrate the Year of Luigi with this standalone game! | No additional software is required to play. All-new courses! | Move over, Mario. It's Luigi time! Play through 82 new courses in the world of New Super Mario Bros. U. Are you up to the challenge? 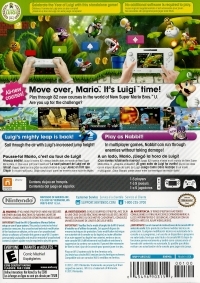 Luigi's mighty leap is back! Sail through the air with Luigi's increased jump height! In multiplayer games, Nabbit can run through enemies without taking damage! 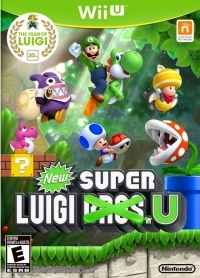 06-30-2016 aliensstudios Box Text Celebrate the Year of Luigi with this standalone game! | No additional software is required to play. All-new courses! | Move over, Mario. It's Luigi time! Play through 82 new courses in the world of New Super Mario Bros. U. Are you up to the challenge? Luigi's mighty leap is back! Sail through the air with Luigi's increased jump height! Play as Nabbit! In multiplayer games, Nabbit can run through enemies without taking damage! This is a list of VGCollect users who have New Super Luigi U in their Collection. This is a list of VGCollect users who have New Super Luigi U in their Sell List. This is a list of VGCollect users who have New Super Luigi U in their Wish List.